Latin for 'similar to the head of the Snipe', a European bird species. 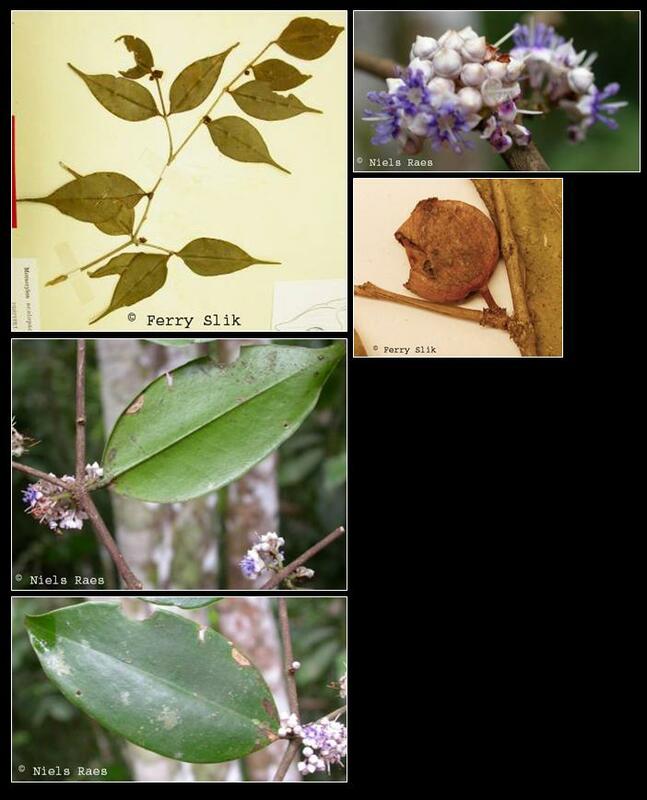 Understorey tree up to 12 m tall and 23 cm dbh. Twigs slightly winged. Stipules absent. Leaves opposite, simple, penni-veined, venation faint, glabrous. Flowers ca. 4 mm diameter, white-bluish, placed in axillary bundles. Fruits ca. 11 mm long, blue-purple, berries. In undisturbed mixed dipterocarp and sub-montane forests up to 1500 m altitude. Often near rivers or streams but also common on hillsides and ridges. On clay to sandy soils. In secondary forests usually present as a pre-disturbance remnant tree. Borneo (Sarawak, Brunei, Sabah, West- and East-Kalimantan).